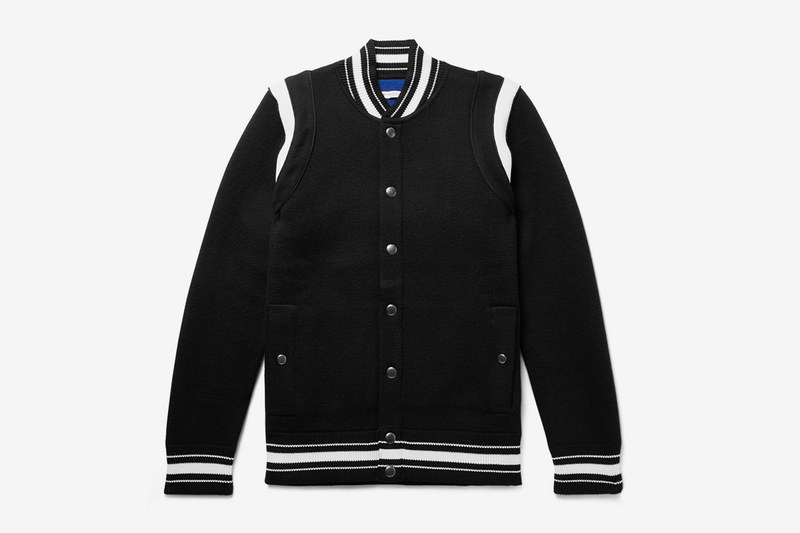 The varsity jacket — otherwise know as the letterman — is a staple in any man’s closet. Similar in shape to the bomber, the preppy piece returns season after season from streetwear brands and high fashion alike. 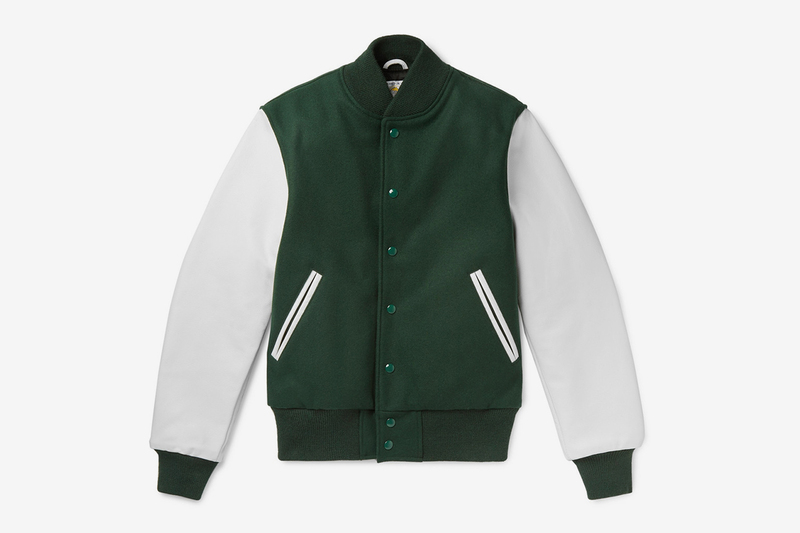 As the name suggests, varsity jackets can trace their origin back to American college varsity teams. The first-ever iteration came from Harvard University in 1865, worn by its esteemed baseball team. 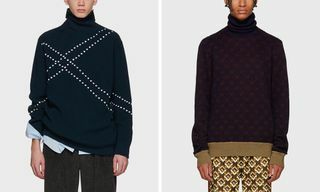 Determined to distinguish their star player from the rest of the team, a fabric letter was embroidered onto the jacket (hence the name Letterman). 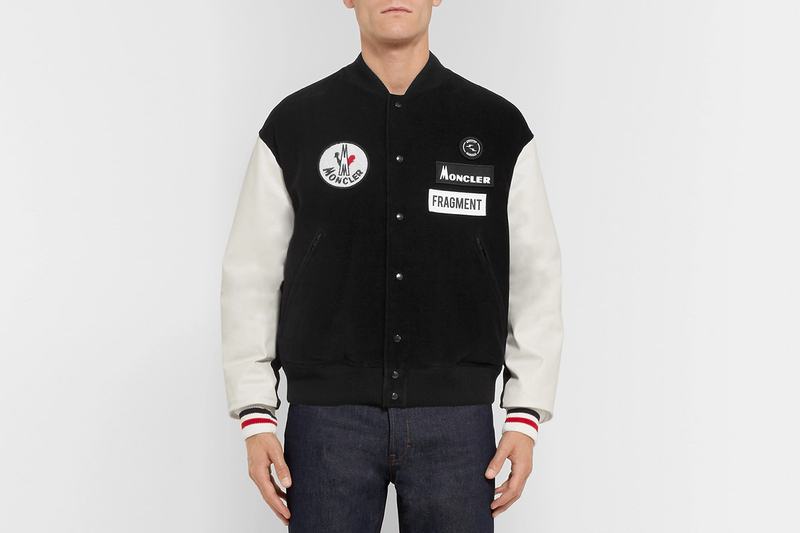 But you don’t have to be an Ivy League jock to rock a varsity jacket. 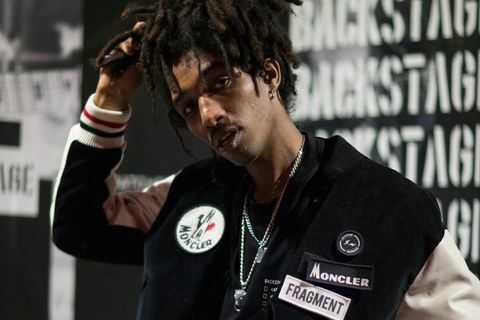 With the years, the piece became less elitist and filtered into casualwear, with all kinds of brands embracing the style and releasing their own versions of the varsity jacket. 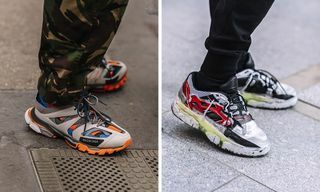 Right after bomber jackets, the piece is now a staple in men’s streetwear, with brands like Stüssy, Supreme, BAPE, and more, regularly including them in their collections. More recently, however, luxury fashion has been embracing this classic piece and releasing elevated versions of the jacket. 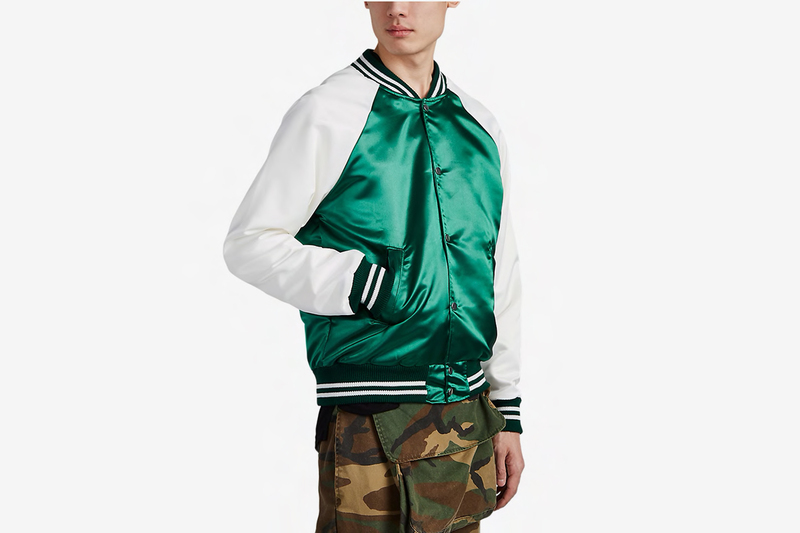 Using higher quality materials and slick designs, these pricier varsity jackets make for the perfect transitional outerwear this Spring. As such, we’ve rounded up the very best of those at the higher end of the varsity offering. 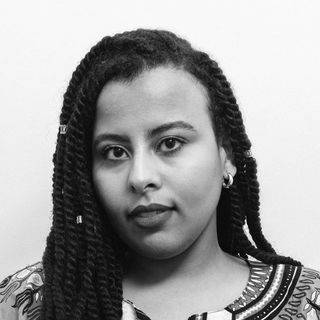 Read on to see our full selection. 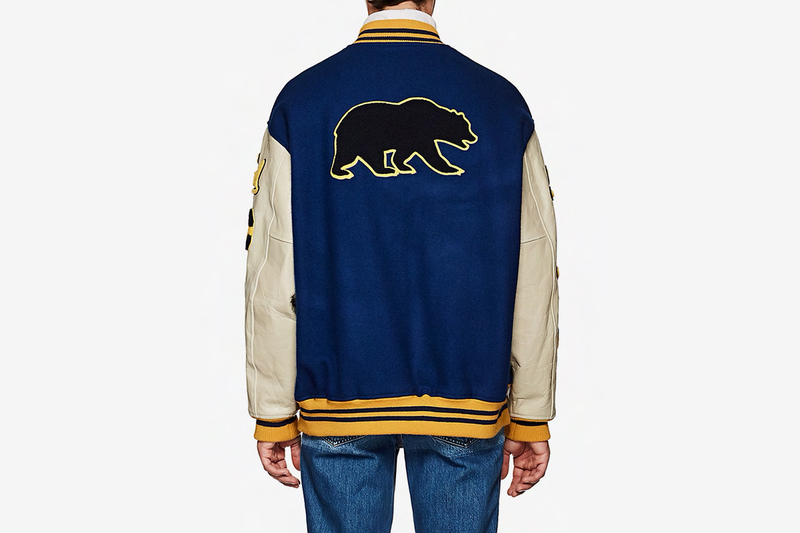 Known for its signature bomber jackets, Golden Bear has kept its designs near identical for decades, and that’s no bad thing. 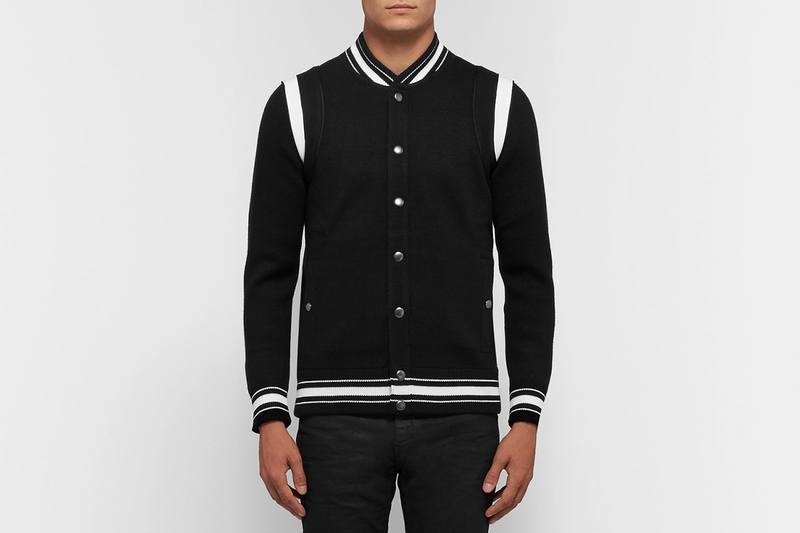 This classic varsity-style bomber mixes a wool-blend body with smooth leather sleeves, boasting traditional striped collar, cuffs, and hem for a simple jacket that pairs nicely with any preppy ’fit. 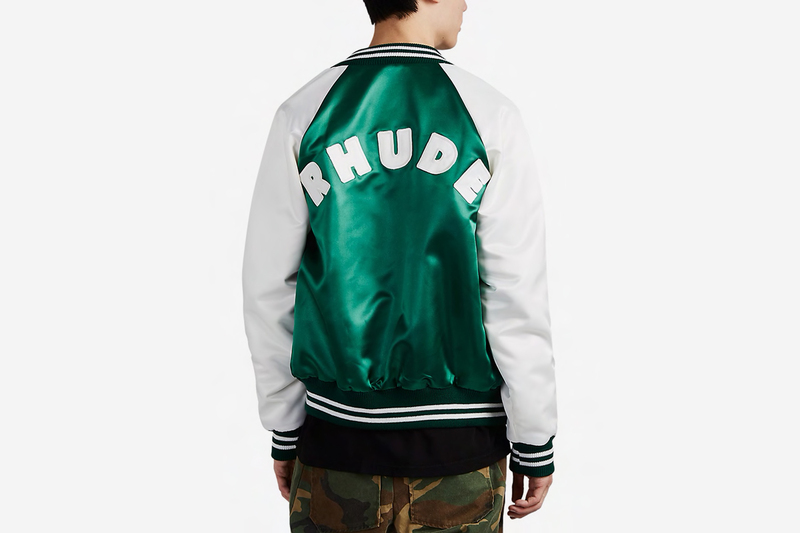 Inspired by LA’s youth culture, RHUDE’s color-blocked varsity jacket features the style’s traditional striped rib knit collar, cuffs, and hem, as well as embroidered logo patches on the back. The Filipino designer’s abundant use of satin (also seen on the buttons) adds an elevated touch to the classic piece. 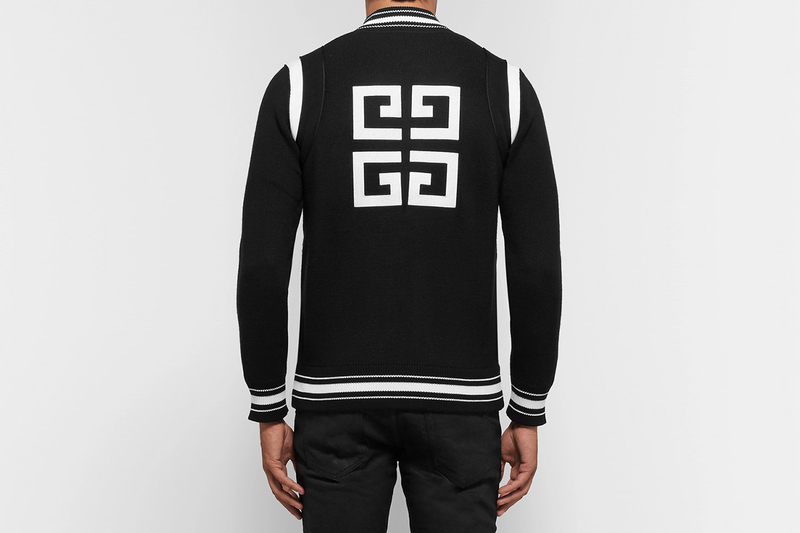 Bomber jackets are already effortlessly cool, but you can leave it up to a fashion house like Givenchy to take it that step further. 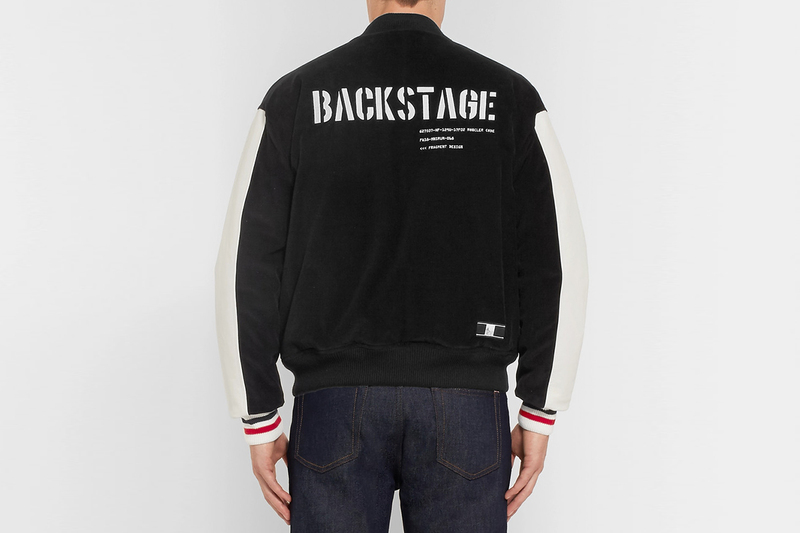 This varsity-style bomber is made with heavyweight virgin wool for max warmth, and if you want to make it known that you’re rocking a $1,560 jacket, the back sports a huge 4G Givenchy logo. 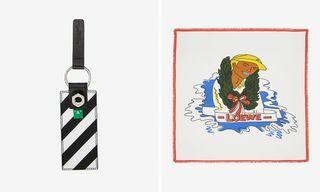 Last year, Moncler unveiled part seven of its collab with Fragment designer Hiroshi Fujiwara, who re-interpreted the brand with his subversive designs. 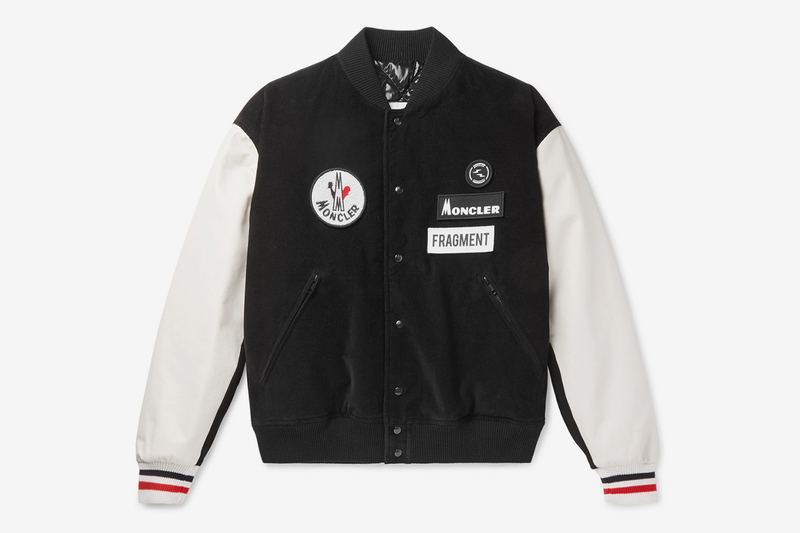 This insane jacket features removable velcro patches and “BACKSTAGE” embroidery, as well as Moncler’s signature down padding and quilted lining. 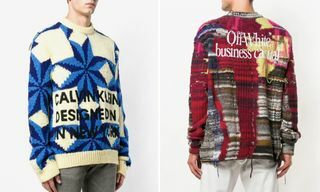 With Raf Simons’ latest (and final) CALVIN KLEIN 205W39NYC collection inspired by the American youth, it’s not all that surprising the Belgian designer has included a collegiate varsity jacket in the line. 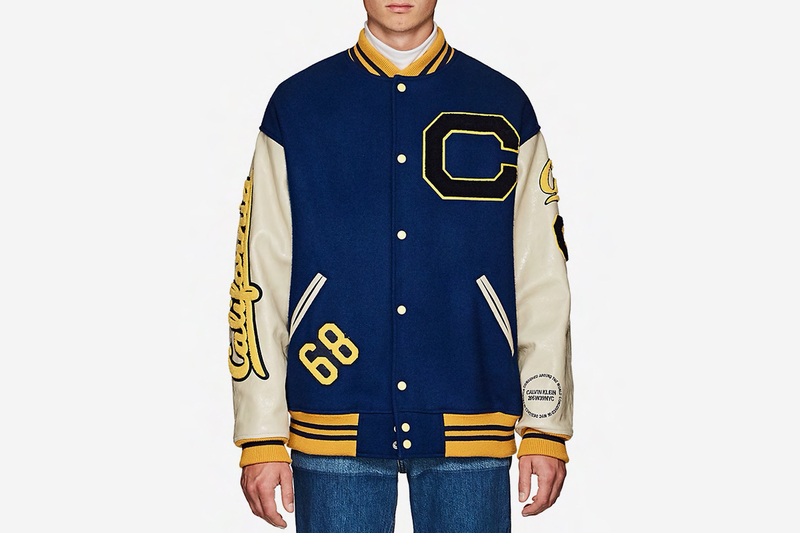 Made from blue virgin wool and beige leather, the oversized jacket pays homage to the University of California at Berkeley with its large yellow patches.